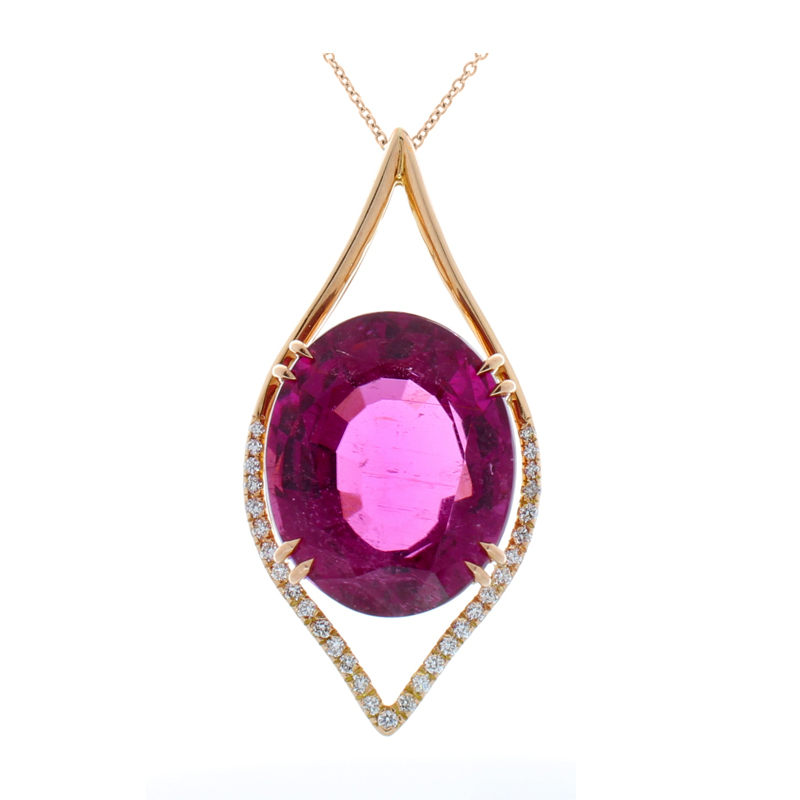 This is a 25.82 carat vivid purple pinkish-red oval rubellite tourmaline with measurements of 19.18x15.75mm. The gem source is Brazil; its size is extremely rare. Its tranparency and luster are excellent. Round brilliant cut diamonds, G color VS clarity, total 0.36 carats add to this alluring gem. Created in rich 18 K rose gold, this gem sits on a delicate cable link chain with an invisible bail, giving the appearance it is floating when worn. This gem is ideal for anyone seeking immensity.